Leadership is performance. And nowhere is this more true than in public speaking. The most successful leaders have an intuitive sense of theater, performing many roles and convincing others to play their parts. Your senior executives will learn leadership as a performing art in The Genard Method's Voices of Leadership on-site training for management teams. As an actor and communications expert, Dr. Gary Genard created his Method to pair the techniques of the theater with the latest research in neuroscience and leadership. Since 2001, he has been working with leaders and their teams in business, government, and NGOs worldwide. The Genard Method provides speakers in senior positions with the resources they need to communicate with an extraordinary level of poise, power, and professionalism. Your team needs the ability to persuade and activate key stakeholders and "tough crowds," from employees to boards to external audiences. As C-suites expand and diversify, it's not enough to rely solely on a dynamic CEO. For true leadership development, your senior executives must also attain the highest level of competence and effectiveness as communicators. "Your Voices of Leadership training was an extraordinary experience for our team. It was an eye-opening exercise in how we can speak strategically in our industry yet with a strong sense of performance. The Genard Method’s theater-based approach is the perfect vehicle for this program. The exercises and simulations were invaluable in showing us how to get our key messages to resonate with different audiences. Everyone is talking about how much they appreciated your instruction, and are excited about their next opportunity to speak!" Our Voices of Leadership program recalibrates your team's approach to public speaking by shifting your focus from content to performance. You will then learn how to access your natural talents to engage and persuade listeners. You'll discover how to boost your ability to tell your key audiences where you're going and how together you're going to get there. Voices of Leadership is an intensive two-day on-site workshop for C-suite executives, senior management, association boards, and other leadership teams. The training maximizes your team's ability to speak with confidence and impact. Day One features group training and activities. Through dialogue, exercises, modeling of successful speakers, and presentation practice with feedback and critiques, you'll learn Dr. Genard's unique performance-based methods. 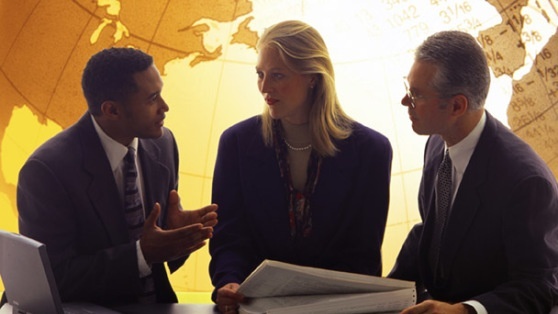 The focus is on proven communication skills that embody and exemplify exceptional leadership. Speaking under pressure and thinking on your feet. Gaining buy-in and achieving consensus. Formal presentations for high-stakes speaking events. Body language and nonverbal communication. Delivering bad news without losing credibility. Handling resistance and tough Q & A. Improving focus, mindfulness, and stage presence. Day Two features 1:1 executive speech coaching with Dr. Genard. These one-hour intensive private sessions include further videotaped presentation practice, debriefing, and critiques. Issues of concern to each executive are covered, and sessions include simulated speaking situations. Voices of Leadership has a maximum of 5 participants. For larger groups, see our Speak at Your Best! corporate training program. 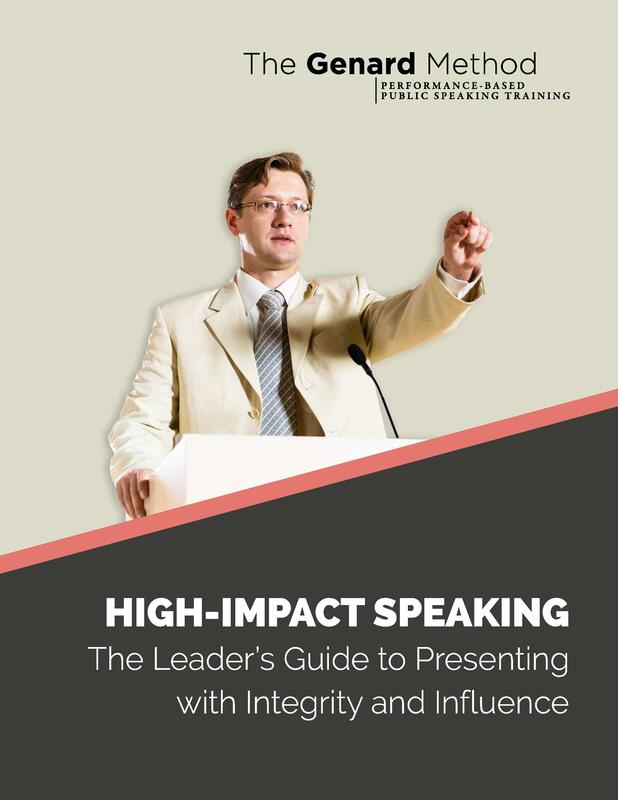 Develop your natural talents to speak for leadership.